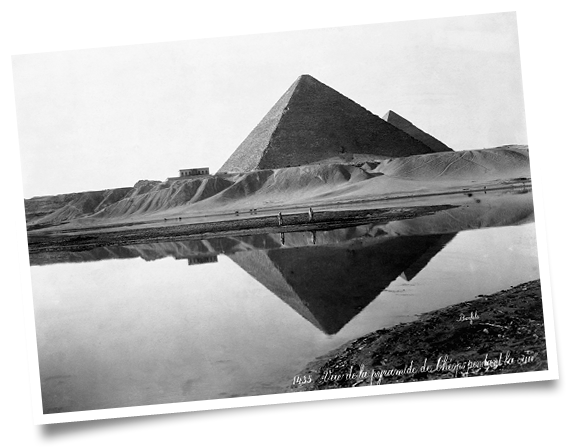 Do you support the restoration of the Great Pyramid?
" a comprehensive and concise analysis of the architecture of the Great Pyramid substantiates that advanced geodetic, astronomical and astrophysical information is encoded in the dimensions of the structure "
Mankind has been fascinated with the Great Pyramid of Giza for millennia and has contemplated esoteric and metaphysical significance of its design, placement and structure to great end. Certainly, its awesome presence excites the imagination. To contemplate how the structure could have been erected in such scale and exactitude without machinery and advanced technology seems unthinkable and indeed impossible. No apparent "evidence" has been found to fully explain its construction and it is therefore controversial to advance ideas as to the level of knowledge of its builders. This paper propounds that the Great Pyramid is a testament in stone written in the "Universal Language" of mathematics and it is in the use of elegantly simple equations that one finds information of advanced knowledge relating to the Earth, Astronomy and Astrophysics. It is substantiated that the Great Pyramid of Giza is a Monument of Science as it was known by our ancestors in the extreme distant past and was in this way a means of communication with us in our time spanning countless lifetimes and will go on indefinitely well into the future.? It remains inexplicable as to how this information could have been amassed by the builders of this structure and how they could have built it with such minute exactitude to last for thousands upon thousands of years. Evidently, there once existed a very well advanced civilization that predated that of the Ancient Egyptians and one might draw the conclusion that a catastrophe of global proportions must have set back the development of our species. It seems that we are evidently still suffering from a collective amnesia.? The Great Pyramid of Giza stands as a monument in the memory of our ancestors and it is with the greatest of reverence for our ancestors' achievements that this book has been written to compliment the advancement of our understanding of our collective past.? I would like to herewith express my deepest appreciation to my wife Louise, my daughter Erika and my son Kristian for their continued support and unending patience during my studies over the course of the past eleven years in which I researched and wrote this paper. I would also like to impart my profound gratitude to Dr. James H. Chalmers (Mathematics) for his critical review of my paper and his highly valued assistance in advanced mathematical computations. I am eternally grateful for all his contributions which included extensive knowledge of astronomy and astrophysics. I have benefited enormously from his insightful teaching in mathematics and scientific matters. I would also like to impart my gratitude for his gracious hospitality. Furthermore, I would like to express my appreciation to Daniel Kelly for his contribution in drawing the schematic drawings herein contained. Eckhart R. Schmitz was born September 13, 1962 in Ottawa, Canada. His parents Hans J. Schmitz and Edeltraut Schmitz emigrated to Canada from Germany in 1952 and 1954 respectively. His father was a Landscape Architect and both his uncles on his father's side are professional Architects . Eckhart was engaged in draftsmanship at a very early age and had a very keen interest in architecture of ancient buildings already in his adolescence. One of his earliest pencil sketches, drawn in perspective, was of the Karnak Temple at Luxur. 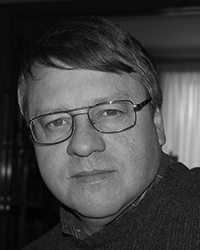 Eckhart was an honour student in mathematics and sciences during his High School years and at the University of Ottawa he studied Philosophy and Political Science, augmenting his studies in Business Administration and Economics. In his father's firm, he apprenticed in design and construction with particular emphasis in Natural Stone Masonry. Following his schooling, Eckhart managed a concrete products manufacturing plant specializing in the fabrication of architectural components and at 30 assumed a management role of the firm founded by his father which specializes in Masonry Construction. Since 2005 he co-owns the firm which now employs upwards of 78 people. 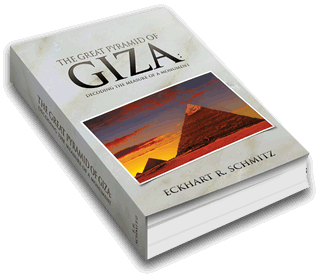 The Great Pyramid of Giza stands as a monument in the memory of our ancestors and it is with the greatest of reverence for our ancestors' achievements that I have written this book to compliment the advancement of our understanding of our collective past. I propound that the Great Pyramid is a testament in stone written in the "Universal Language" of mathematics and it is in the use of elegantly simple equations that one finds information of advanced knowledge encoded relating to the Earth, Astronomy and Astrophysics. I substantiate that the Great Pyramid of Giza is a Monument of Science as known by our ancestors in the extreme distant past and that it stands as a means of communication with humanity spanning countless lifetimes and will go on indefinitely well into the future. Evidently, there once existed a very well advanced civilization that predated that of our own and one might draw the conclusion that a catastrophe of global proportions must have set back the development of our species. It seems that we are evidently still suffering from a collective amnesia. It is our task to investigate and come to recognize our ancestor's lasting achievements and in this way have a greater appreciation of our own history. Have a question or comment to share?? ï¿½ Copyright 2012. The Great Pyramid of Giza. All Rights Reserved.